Geronimo: What we’re taking to camp with a baby and a toddler! I’m so excited! We’re going to Geronimo! We’re going to the Arley Hall festival on 26th-27th May and will be camping on the Saturday night. We’ve never been camping together before but I have such fond memories of camping as a child and it’s an experience I think every child should have. We chose Geronimo for our first camping experience because there is just so much to keep Harry entertained. Known as the ‘Glastonbury for kids’ Geronimo is a festival aimed at families and the line up is one of any true CBeebies fan’s dreams! I can’t wait to see Harry’s face when he sees that Andy from Prehistoric adventures is there in real life. On top of the main stage there’s adventure play areas, a circus show, crazy golf, Lego activities, bubble man, rides, farm animals and that is just the start! I’ll be honest I’m a little nervous about fully immersing ourselves into the kids festival chaos for a full two days but I’m so excited too. I’m starting to write lists of what we will take with us to make camping a little bit easier and thought I’d share it with you! Ok, so when I say we’re going camping we may be cheating a little bit. We aren’t taking our own tent. 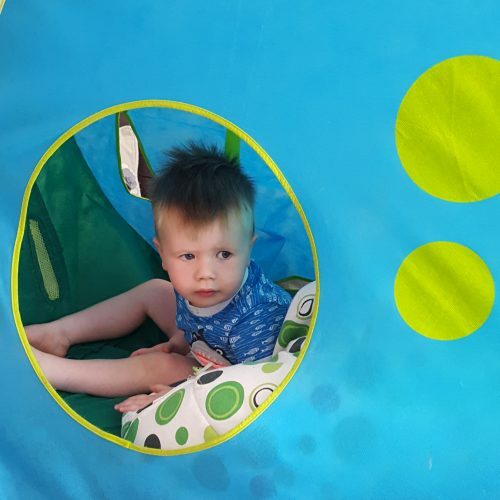 There are several companies that offer pre pitched tents for hire and we’ve opted to hire one to save the stress of putting it up ourselves with a toddler racing around. We’re hiring a tent from Tangerine fields, with two sleeping compartments with black out lining. We’re hoping this will help us to get at least a few hours sleep! The tent also comes with airbeds and sleeping bags. This means that instead of spending a lot of money on buying our own straight away we can see if camping for us before splashing out on our own equipment. This goes without saying. I’m hoping for glorious sunshine but, let’s face it, we’re in England and mud is 99% guaranteed! We will be taking our wellies, coats and puddle suit for Harry. He loves getting messy so will probably enjoy it more if it’s tipping it down! Megan will be almost 9 months old when we go to Geronimo. She loves been worn in the sling and is much more content in there than in the pushchair. I think I’ll be taking this beautiful woven wrap from Funky Giraffe Bibs and, if she’s finally big enough to go in it, my Tula too. At the moment, to save space in the car, I think we’ll be leaving the pushchair at home. We’ll probably buy most of our meals there, however we will be taking some bribes.. I mean snacks with us. We will probably take some Organix packet snacks, fruit and vegetable sticks. We will also be taking our Klean Kanteen insulated canisters with a warm lunch for the Saturday. These canisters are great for keeping food warm so will save us money and mean we can ensure we have one home cooked, healthy meal while we’re there. 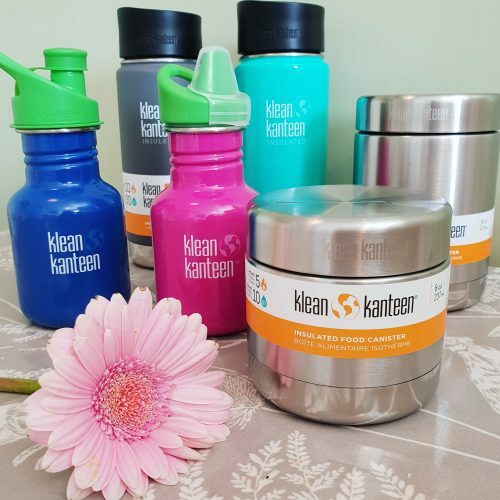 We will also be taking our Klean Kanteen insulated bottles because I think hot coffee will be essential for getting Alistair and I through the day! These bottles keep drinks warm for 1o hours so are perfect for cold days camping. It also means we won’t be carrying rubbish around with us by using disposable cups. 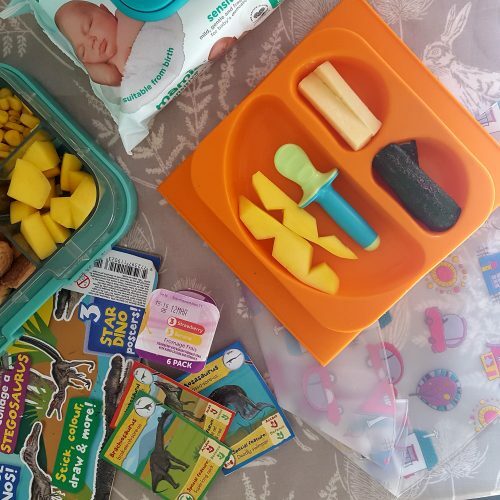 We will also be taking our Yumbox and EasyMat to put snacks for the kids in while we’re out and about. Harry is well and truly toilet trained now and it’s very rare we have an accidents. 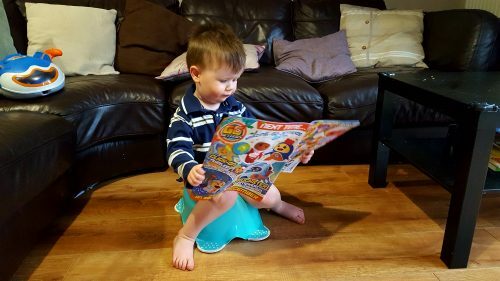 Having a potty in the tent will make it easier for him though as he will probably be excited and distracted, not realising he needs a wee until it’s about to happen. Queueing for communal toilets first thing in the morning with a desperate toddler when he’s bursting doesn’t sound like fun! We’re sleeping in a tent.. enough said. We won’t have a plug socket and the car will be parked in the car park away from the tent. I’m obsessed with capturing memories and will be vlogging/blogging the weekend so this will be really handy for charging my phone and camera. Tonnes of the things. We have two young children and won’t be able to bath them after a muddy day. These are essential! I’m not a huge fan of this but it’s better than nothing. If anyone can recommend a good brand for brown hair that gets greasy quickly please let me know! We won’t really be taking much more than this. I’m undecided on whether or not I’ll take a travel cot or just co sleep for the night. We’ll decide nearer the time! Are you going to Geronimo this year? If you are let us know what you’re packing and we’ll see you there!